Show off your American pride with this red, white and blue collection from Whistler Studios. 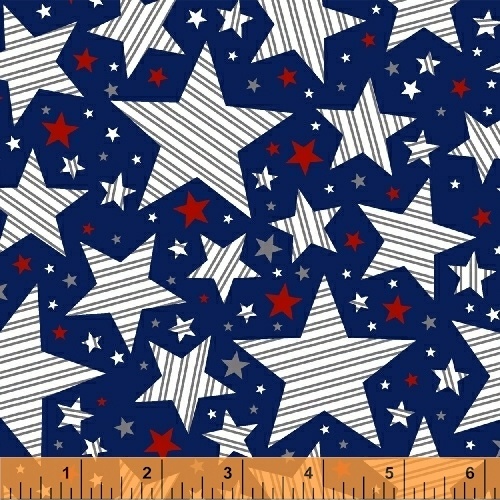 Patriotic stars and stripes along with proud eagles carrying the flag make this fabric great for creating a special quilt for your loved one in the service or decorating your home for a national holiday. 13 skus. On sale August 2017. Delivery to stores February 2018.